There is no doubt now that the video production community with new stakes in education is growing, as is the educational community with new stakes in video production. Books will forever be important, and in-class, in-person instruction will forever be as essential to effective teaching as it is to parenting, but video has become the dominant communications medium of many of our lives, and screens – computer screens, cell phone screens, and tablets – the new, dominant form of information transmission. MOOCs and Open Educational Resources: A Handbook for Educators is being made available for university faculty, educators, and educational producers involved in producing online courses. The guide is a step-by-step manual to how to produce and distribute educational video content under the freest of licenses, with an emphasis on Creative Commons. It is hoped that some utility may be found in its pages by all kinds of readers, whether one is a staff videographer or a chaired senior faculty member or a freelance video editor, or in any position around and in between. ​In recent years, audiovisual archives, large and small, have been making their holdings accessible online and have started exploring a mix of models for revenue generation and what might be called know how generation through innovative partnerships with commercial and non-commercial institutions. This paper sheds light on the new ways that archives have been examining, appreciating, and even embracing business and commercial interactions in the digital age. It describes models and tools that have proven successful, and provides recommendations to help those who curate audiovisual heritage content appreciate and maximise better the value of their assets. ​Media permeates modern life: video, audio, images, tweets, posts, feeds, and apps cascade across our screens, lenses, and speakers. 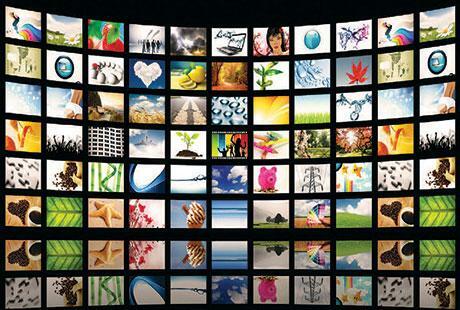 By 2014, according to Cisco, video will exceed91% of global consumer traffic on the internet. Eleven billion square feet of screens will be in operation worldwide − enough to encircle the Earth’s surface 50 times over. The equivalent of 16 billion DVDs’ worth of media will be crisscrossing the internet every month and some 15 billion networked computers, phones, and other devices will be in operation around the globe. Such is the demand for mobility and media personalisation − from students especially − and such the declining costs of digital memory, that Google’s engineers have predicted that by 2020 or so all the media ever created will be able to be stored and played on a device the size of an iPhone. For those involved in culture and education, a growing challenge is how to make the traditional worlds of teaching and learning – and audiovisual production – relevant for students who come to class in many cases already media-literate. The typical education consumer now is changing from someone who was satisfied by text and rote learning perhaps ten years ago into someone who looks to learn from and produce with the gamut of rich media available in his or her daily life. ​Despite the pervasiveness of media, the amount of philanthropic dollars in support of public interest media remains minuscule. The findings, released today by Grantmakers in Film + Electronic Media (GFEM), suggest that commercial interests continue to dominate media. 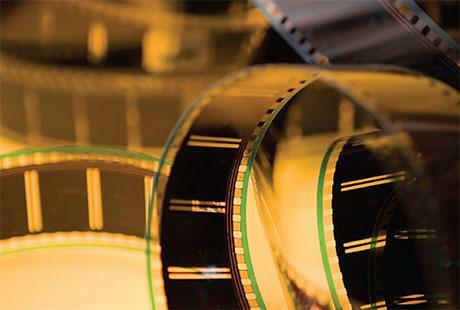 Within a 12-month period, more commercial money was invested in a single Hollywood blockbuster than was invested in all public service media by three of the largest philanthropic donors combined: the Ford Foundation, the John D. and Catherine T. MacArthur Foundation and the John S. and James L. Knight Foundation. The survey and ensuing report, Funding Media, Strengthening Democracy: Grantmaking for the 21st Century, calls on philanthropists to embrace a practice of transparency and information sharing via technology, to determine how existing funds are being used and how they can best be leveraged to increase philanthropic impact within the media field. 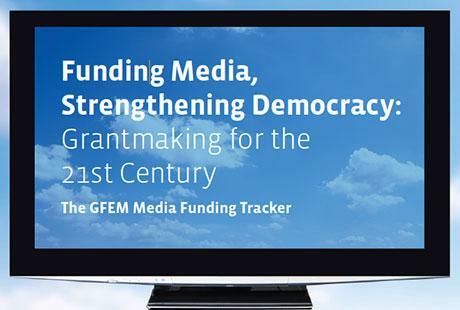 Commissioned by GFEM, Funding Media, Strengthening Democracy (downloadable below) was researched and written by Peter B. Kaufman and Mary Albon of the firm Intelligent Television. Over a one-year period, Kaufman and Albon collected grantmaking data from foundations large and small, government funders, other researchers and journalists – using an online survey, individual interviews with key foundation executives and program officers and roundtable discussions. In 2007, OCLC Programs and Research engaged Intelligent Television to study the partnership agreements between cultural institutions and for-profit companies for the mass digitization of books and other media. This report presents the findings of that study. Libraries have been digitizing portions of their collections for more than twenty years, but recent opportunities to work with private partners, such as Google, Microsoft, and others, on mass digitization has opened up possibilities that were unimaginable just a few years ago. Private funding, commercially developed technology, and market-oriented sensibilities together may generate larger aggregations of digitized books far sooner than the library community had dreamed possible. There are many efforts underway to assess various aspects of these partnerships; this paper focuses on the terms in mass digitization agreements that affect research-community-centered outcomes. 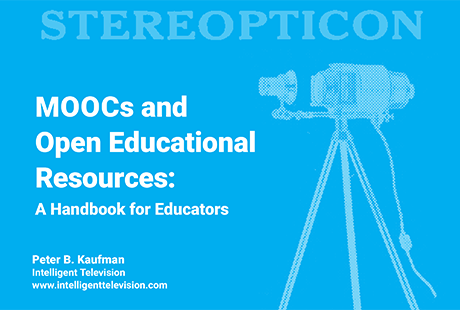 The remarks below present seven focus areas and metrics for involving more video and rich media in the OER environment and those parts of higher and k-12 education on the road toward greater openness.